GE recognizes Ethiopia as a major infrastructure development hub and has been present and actively participating in key Ethiopia projects for over 20 years. In January 2014, GE and the Government of Ethiopia signed a Memorandum of Understanding (MOU) outlining potential areas of cooperation to jointly develop projects in energy, aviation/transportation and healthcare sectors to support key infrastructure initiatives being developed under Ethiopia’s Growth and Transformation Plan (GTP). Our presence in Ethiopia has grown from 1 person in 2011 to 40 professionals in 2017. More than 90% of our staff are Ethiopians, supporting and helping to deliver on critical infrastructure projects through job creation, technology solutions, supply chain development, knowledge transfer programs and robust capacity development initiatives with our customers. Built infrastructure through providing five anesthesia machines, seven patient monitors and six ultra sound devices. Collaborated with the Federal Ministry of Health to contribute to the development and implementation of Saving Lives Through Surgery (SaLTS), a national strategy for surgery. 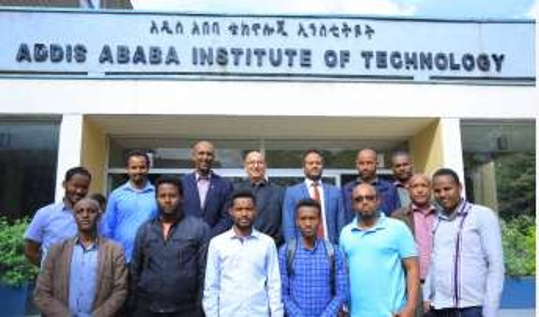 In May 2017, GE collaborated with Addis Ababa Institute of Technology (AAiT) to develop a Renewables - Center of Excellence at AAIT to serve as a practical learning hub for undergraduate students in the Ethiopia University system, a research incubator for graduate students and a reinforcing learning mechanism for faculty. In the last one year, GE has delivered three 1-week seminar sessions to over 80 students, sponsored two PhD students at Grenoble and co-developed a hydro turbine test bench. The next phase of the program is to donate a fully functional 1.5MW wind turbine generator for operational training. GE, in collaboration with the Federal Ministry of Health, has installed its Hybrid Distributed Power system in Guba and Ashoka Health Centers in Ethiopia’s Southern Nations, Nationalities, and Peoples’ Region (SNNPR). Providing 15kw of electricity through hybrid off-grid power solution, GE’s differentiated technology with its unique capability to harness solar energy with minimum carbon footprint, will enable the health centers to rely on a more stable grid and a main source of power. This will help the centres tackle challenges with lighting for newborn deliveries, cold chain storage, functioning of medical devices and sterilization for optimal operating capacity. In July 2018, GE commissioned a scalable micro grid system powered by a Hybrid Distributed Power unit for Digo Village in the Oromia region of Ethiopia. The system which was implemented in partnership with Ethiopia’s Ministry of Water, Irrigation and Electricity, the Oromia Region Energy bureau as well as Ethiopian Electric Utility (EEU) will provide reliable, cost effective power to 1,500 inhabitants of Digo providing critical power to a health clinic, school, administrative offices and homes. GE Aviation is an integral part of Ethiopia Airlines and powers more than 56% of Ethiopia airline’s wide-body fleet. GE Aviation (CFM) engines power the B787 Dreamliners, B777s and B737s New Generation fleet. In Nov. 2013, GE and Ethiopian Airlines signed a 10-year OnPointSM solution agreement for maintenance, repair and overhaul of its GE90 engines in the Airlines’ Maintenance, Repair and Overhaul facility. GE continues to support Ethiopia Airlines critical maintenance activities to enable its global operations. GE Aviation is delivering a tangible knowledge transfer program which is developing Ethiopian Airline’s capability to maintain its GE engines and that of third-party airlines. Recently, Ethiopia Airline’s Maintenance, Repair and Overhaul facility was the first in Africa with capability to repair the GEnx Engine, which powers the Boeing 787 aircraft. GE Hydro is supplying 8 (of 16) Francis hydroelectric turbines and generator sets for the 6000MW Grand Ethiopian Renaissance Dam (GERD). Installation of the early generation units (first two units) is underway and includes an extensive knowledge transfer program to benefit our customer, Metals and Engineering Corporation (METEC). GE Renewable Energy (Alstom) supplied 54 x 1.67MW wind turbines for the 120MW Ashegoda Wind Farm in Mekelle. The scope delivered includes High Voltage electrical evacuation/substation equipment and a multi-year Operations & Maintenance (O&M) contract to ensure the plant’s performance and availability. GE Power Services delivers bi-annual planned maintenance support for the Metahara Sugar – power generation unit/steam turbine generators. In early 2018, GE Power and FieldCore, the company’s independent field services execution arm, successfully restarted Metahara Sugar Factory in Ethiopia, seven months after the plant was severely damaged by a major thunderstorm. The outage execution service of two steam turbines, which lasted 20 days, succeeded in bringing back the 5000-person workforce and solving sugar scarcity for more than the 100 million people in Ethiopia. GE Healthcare has introduced innovation in healthcare delivery throughout the country as a solutions provider bringing technology, education, digital data management and impact measurement. 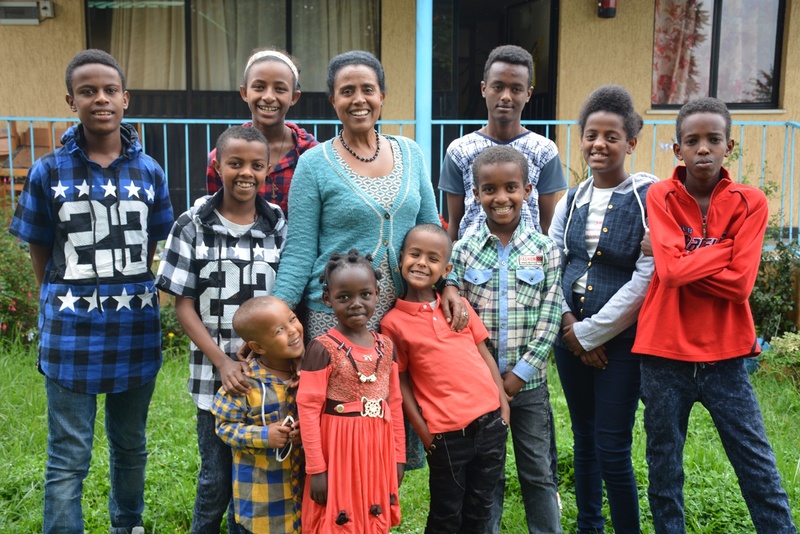 In collaboration with USAID, GE Healthcare has funded a project to support the Federal Ministry of Health’s goal in reducing maternal and child mortality in Ethiopia. 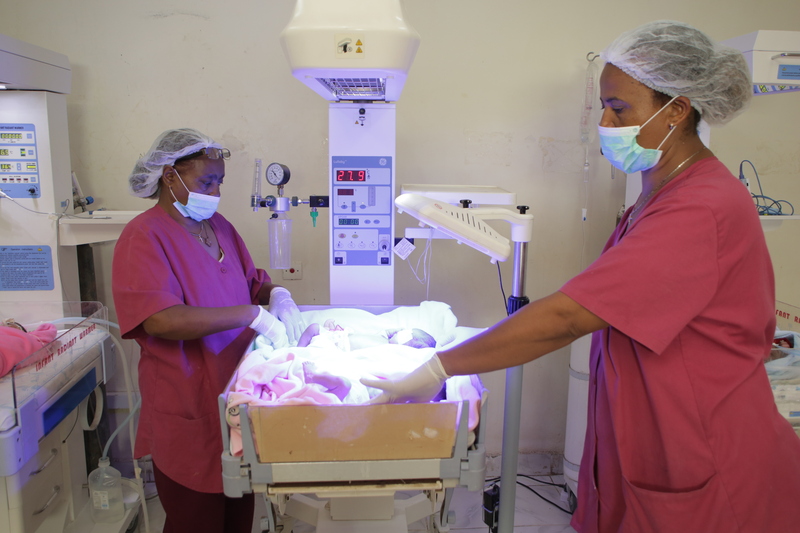 The project equipped four Neonatal Intensive Care Units (NICU) in 4 referral hospitals (Adama, Assela, Hawassa, and Hossana) and provides functional and recurring training and monitoring and evaluation to staff in partnership with the Ethiopian Pediatrics Society. Dairy Farm Project: GE through the GE Kujenga Gives Grant and SOS Children’s Villages Ethiopia partnered on the Feeding the Malnourished Children program to meet the demand of milk at the SOS and provide a source of income to the center by selling its surplus to the community around the children’s village. Kibebe Tsehay Child Care Institution: GE employees through the GE Volunteers program, contribute their time and skills to supporting the Kibebe Tsehay Child Care Institution and the children the institution supports. To send inquiries, including feedback, requests for information, and questions regarding the site, you can use our Feedback and Inquiries form.